Who says you have to wait until your honeymoon to go on a relaxing tropical vacation? Gwyneth Paltrow and her TV producer fiancé Brad Falchuk reportedly aren’t walking down the aisle until later this year, but the happy couple couldn’t resist sneaking off for one more pre-wedding trip. And this time, they brought the kids along too. Although Paltrow and Falchuk undoubtedly still have plenty of wedding planning to do before their nuptials, they clearly embrace one of life’s fundamental truths — there’s always time for Cabo! According to E! 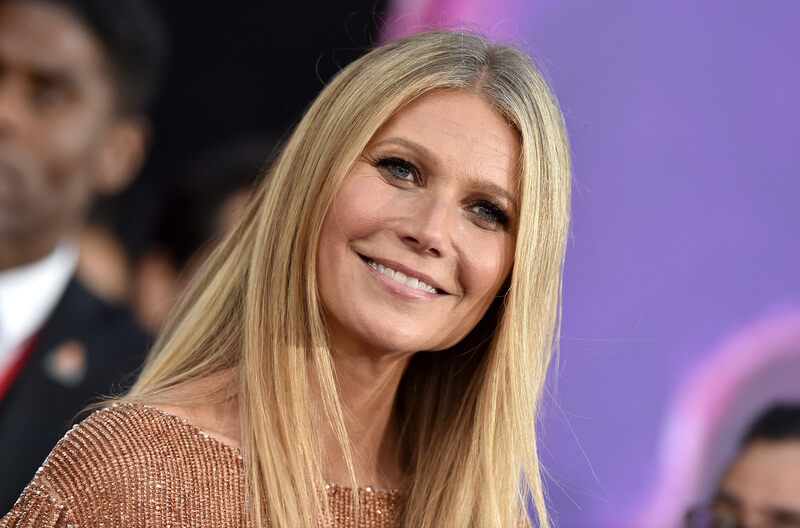 News, the Goop creator and her soon-to-be husband hopped a private jet to Mexico on Friday morning with her kids, Apple Martin, 14, and Moses Martin, 12, as well as Falchuk’s three children Suzanne, Isabella and Brody. An inside source reportedly also told E! News that a few of the couple’s friends joined the family in all of their Cabo fun. But you know the rule: if it isn’t on social media, it didn’t happen. So, naturally, Paltrow took to Instagram to share a few bikini-clad snapshots from the vacation. In one photo, an enthusiastic Paltrow jumps for joy on a white sand beach. It’s not hard to see that Paltrow and Falchuk enjoyed their impromptu getaway, a fact confirmed by E! News’ source. Did you see that lagoon? We wouldn’t want to leave either. But reality beckons, and with it, the couple’s impending nuptials. In a joint statement when they announced their engagement, Paltrow and Falchuk alluded to the fact that this was the perfect time in their lives to come together — that past relationships and life lessons had led them each to precisely where they needed to be. One of those life lessons, as Paltrow told Howard Stern on Wednesday, was former boyfriend Ben Affleck. “It’s interesting. I think there’s certain boyfriends where you are trying to work stuff out, right? Like you’re trying to heal certain stuff from your childhood and he was very much a lesson in that way,” Paltrow explained. “I’m not sure exactly what I was trying to heal in that instance, but it was… he was, you know, it was specific,” she added. Happily, whatever Paltrow’s past relationships were supposed to do, they apparently did the trick. She seems happy and healthy heading into her marriage to Falchuk.